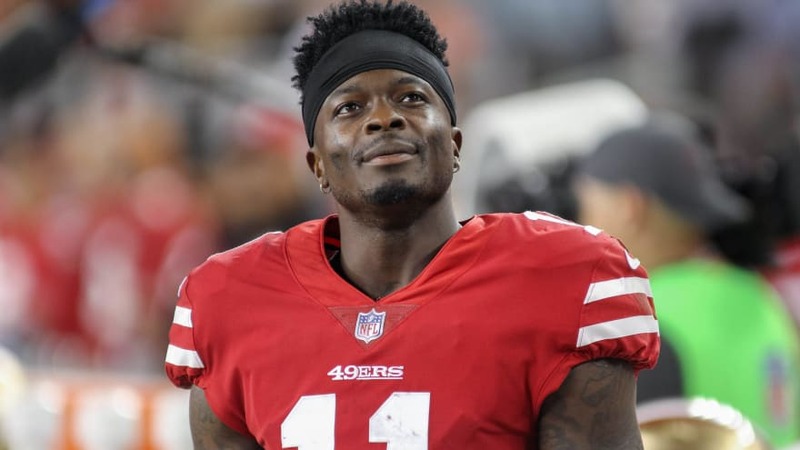 Marquise Goodwin is one of the few people in the National Football League (NFL) who juggled between playing in the league and doing track and field and succeeded at both. The former Olympian won two national college championships in long jump, represented the United States in many international competitions and now makes a living in the NFL as a wide receiver/ kick returner for the San Francisco 49ers. Marquise Goodwin is the son of Tamina Goodwin, a cosmetologist. He has a 10 months younger sister, Deja, who has cerebral palsy and was not expected to live beyond 6 months. She was born three months early and underdeveloped. As a result of the neurological disorder, Deja practically has no control over her muscles and even though she can see, she is still considered legally blind. Before his rookie season, Marquise Goodwin dedicated his NFL career to his sister, saying she is his major source of motivation. The player was raised solely by his mom as his father, who was not married to his mother, was absent from his and his sister’s lives. The family made news in August 2018 when Marquise bought a new house for his mom and sister after he signed a contract extension worth $20 million with the San Francisco 49ers. The emotion-laden scene was captured on video and posted to Goodwin’s Instagram page. The short video showed his mother and sister blindfolded as he leads them towards the house. Immediately he removed the blindfold from his mother’s eyes, she dissolved into tears, hugging her son in gratitude. Marquise Goodwin is married to Morgan Goodwin-Snow. She was born on July 26, 1993, in Atlanta, Georgia, as Morgan Sannette Goodwin and just like her husband she is also an athlete. Morgan, a hurdler, specializes in the 60-meter and 100-meter hurdles and has represented the United States at the international level. Mrs. Goodwin was a student at Southwest DeKalb High School and upon her graduation, she enrolled at the University of Texas, Austin, where she excelled in her chosen sport. In 2011, she became the USA Junior Olympic Champion and also the AAU Junior Olympic Champion in the 100m Hurdles. The following year, she won two gold medals at the World Junior Championships in Athletics and followed it up in 2013 by winning that year’s Big 12 Outdoor championships in the 100m Hurdles. In 2015, she also won the Big 12 Indoor championship in the 60m Hurdles. As a college student, she was a was a 9-time All-American. Despite her charming college record, Morgan’s attempt to join the 2016 United States Olympic team in the 100-meter hurdles was a flop as she finished 14th. 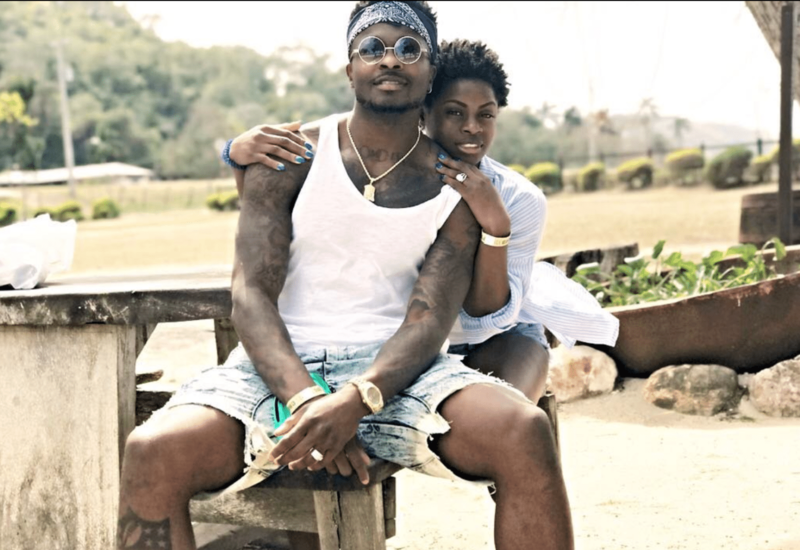 Marquise Goodwin and his wife met at the University of Texas where they were both track stars. According to the football player, he knew when he met Morgan that she was the perfect girl because she was in college, she was an athlete and they had the same morals and beliefs. The couple got married in February 2016 and thus far, their faith and love for each other have kept them strong. What would have ended in celebration for the couple turned to sadness when they lost their first baby on November 12, 2017. The baby boy who the couple would have named Marquise Jr. died after Morgan suffered complications which resulted in premature labor at 19 weeks and subsequently, the death of the child. The incident, as expected, was heart-breaking for the couple. According to Marquise, having a boy was one thing he wanted more than anything in the world and he would give up his life to have it. “Imagine having something that you want more than anything in the world and you get it and it’s just stripped away from you,” Marquise said. However, explaining on his Instagram bio which reads: “The reward lasts longer than the pain” after his son’s death, the wide receiver said it meant that despite the pain, he still has faith that God had something bigger and better in store. Just hours after his baby’s death, the San Francisco 49ers wide receiver took to the field in the game against the New York Giants and scored an 83-yard touchdown. Only two of his teammates knew about his loss and it was after the game that he and his wife let the world in on their pain through a post on social media. The player disclosed that it was his wife who encouraged him to play. Marquise was born on November 19, 1990, in Lubbock, Texas, with the middle name, Derell. He attended Rowlett High School, Austin, where he played high school football and competed in track and field for the school’s team. He posted the third-fastest 40 time ever at the NFL scouting combine and was selected by the Buffalo Bills in the third round of the 2013 NFL Draft. The talented player stands at 5 feet 9 inches (1.75 m) and weighs 180 lb (82 kg). Goodwin’s fellow San Francisco 49ers teammate, Adrian Colbert is his cousin. Five weeks after he lost his son, Marquise also lost his biological father.